How do you balance debt and savings? Here’s what our research found. If you’re paying down debt, saving money may be a low priority for you. After all, you’re probably paying interest on your debt every month, so paying off your debt more quickly means keeping more money in your pocket long-term. Our research found that Savers with a very good or excellent credit score (the two highest categories) were more likely to save at least $20/month than Savers with lower credit scores. 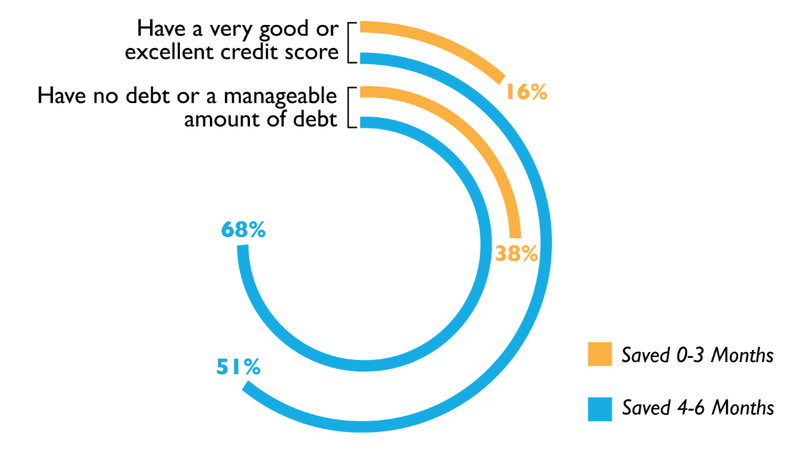 Savers who had no debt or a manageable amount of debt were also more likely to save. Many experts believe that maintaining or building a small emergency fund is crucial even if you have debt. SaverLife’s Financial Coach Saundra Davis agrees. She says many people ask her, “Should I save or pay down my debt?” Her recommendation is a balanced approach. Focus on paying down debt, but don’t eliminate saving entirely.